Unless you’ve been time-traveling for the last two weeks, you’ve probably heard at least something about the EPIC recall of Toyota vehicles going on. The paranoia is growing. Perhaps you’ve hesitated to cross the street when you see a Corolla stopped at the light. Maybe you’ve pulled over to the side of the road to let once-innocuous Camrys pass. 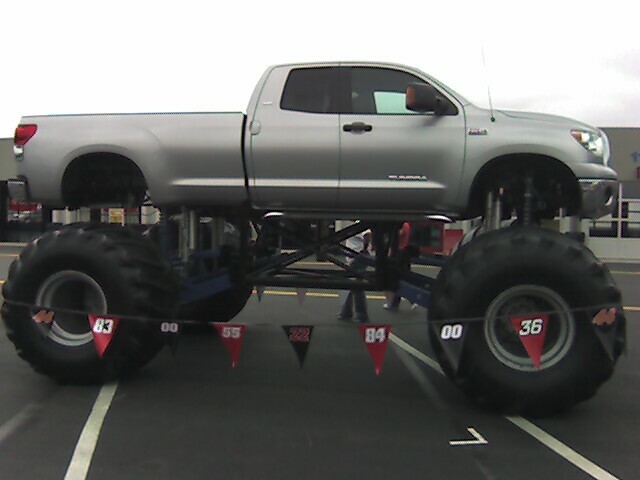 Perchance you feel an icy shiver race up your spine when you pass that Toyota dealership on the way to work. All those cars staring out at you. Watching. Waiting. She's back, and she's an Avalon! Well, let’s unclench for a moment, and review the facts. The first problem is caused by wear on a defective friction device in the accelerator, causing the pedal to return to idle more slowly upon release – or not return at all. (The friction device provides the pressure against your foot when you push the gas.) This particular flaw relates to late-model RAV4s, Corollas, Matrixes (Matrices?) Avalons, Camrys, Highlanders, Tundras, and Sequoias. 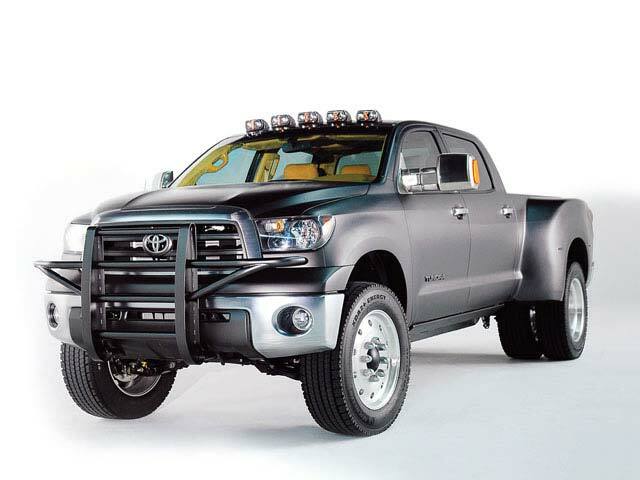 If you want to mod out your Tundra - this is acceptable. 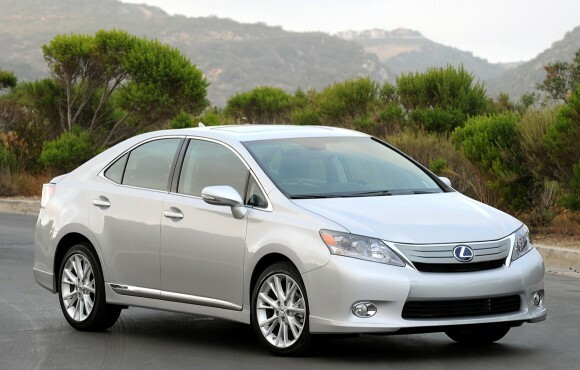 On top of those issues, the crown jewels of Toyota’s hybrid lineup – the 2010 Prius and the 2010 Lexus HS 250h – are suffering from a separate recall for a malfunctioning anti-lock brake system, affecting 147,500 cars in the States and 437,000 worldwide. Afflicted cars develop inconsistent brake feel when stopping on slippery surfaces – when ABS is especially important. According to U.S. Secretary of Transportation Ray LaHood, Toyota only undertook these recalls after extensive coersion by the U.S. government. LaHood says the Japanese manufacturer would not have initiated the recall if not for the urging of Washingon, calling Toyota “a little safety deaf” in an Associated Press interview and vowing to hold the automaker’s “feet to the fire” on Good Morning America. 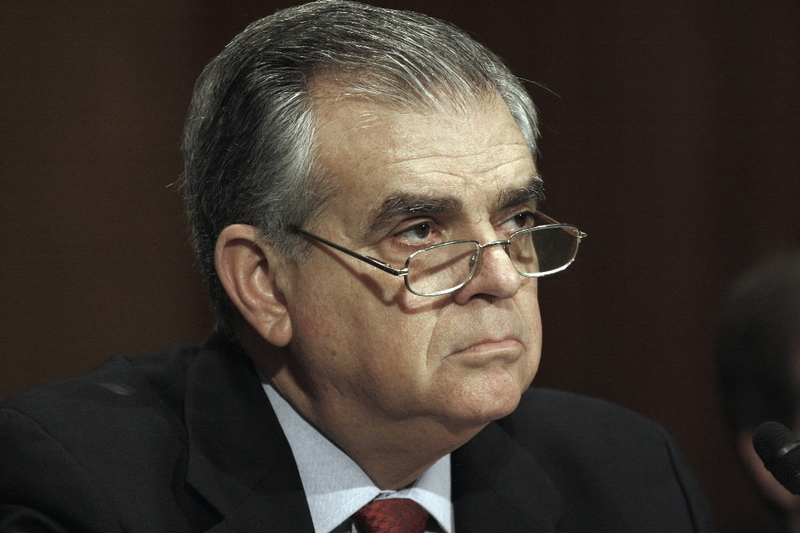 Ray LaHood, seen here portraying an aged Richard Nixon in the 2009 film Watchmen. The NHTSA says the floor mat issue alone has been linked to five deaths, while safety advocates claim the two accelerator defects are linked to at least 19 deaths. Toyota executives are scheduled to testify before Congress on February 24th during a hearing about the recalls. But Toyota isn’t the only Japanese carmaker suffering from recall fever. More than one million Hondas across the globe are being recalled due to faulty airbag inflators. While the first round of the recall covered approximately 646,000 Fits, Jazzes and Citys (man, car names do not lend themselves to pluralization) around the world, the second part covered nearly 379,000 American cars manufactured between 2001 and 2002. 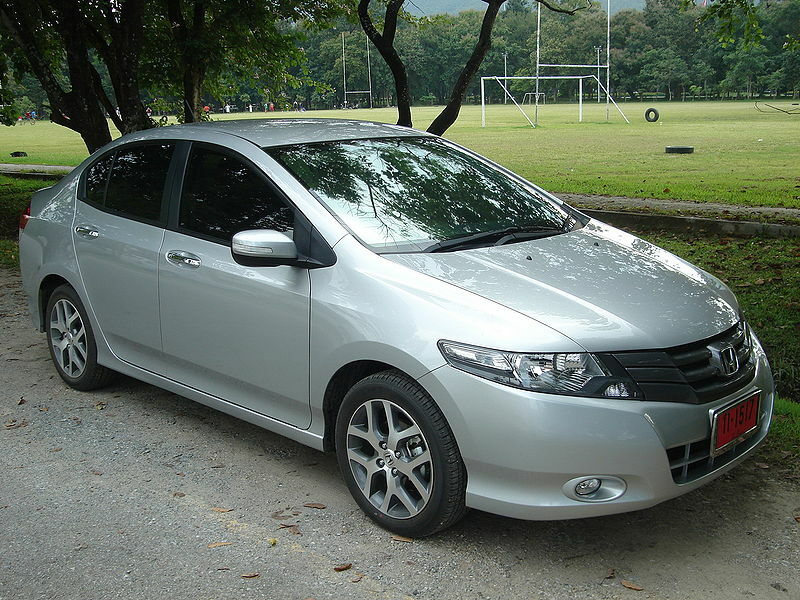 Since you'll probably never see a Honda City, take a peek. Luckily, there’s still plenty of positive news in the automotive world. 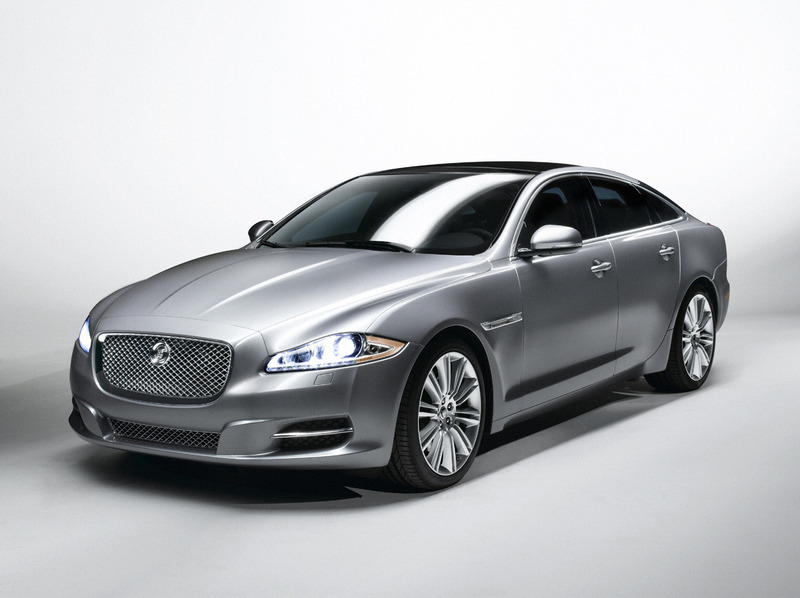 For example: Autocar reports Jaguar is prepping an electric version of its full-size XJ sedan. Like the Chevy Volt and the Fisker Karma sedan, the ElectroJag (and no, that’s not will.i.am’s new nickname) comes with a range-extending gasoline engine to recharge the batteries; in the ElectroJag’s case, a 1.2 liter three-cylinder engine designed by Lotus. According to Autocar, the car will have a maximum range of around 600 miles, and be limited to 112 mph. The electric motor will reportedly make 145 kilowatts of power – that’s 194 horsepower, for those of you who haven’t memorized the conversion formulae. (Certainly not us.) Interested buyers should be able to pick one up in 2011. While we’re waiting for the ElectroJag, there are plenty of new models coming out in the meantime to keep auto enthusiasts aroused. First up: from the “I Still Can’t Believe They’re Building This” files, the Mini Cooper Countryman and Cooper S Countryman. Yes, Mini has made an SUV. It actually looks fairly attractive. Crossing “adorable” with “butch” could have been disastrous (just imagine Amy Adams on HGH), but the folks at Mini have found a nice compromise. (Even if the front end vaguely resembles a Pandorian catfish.) 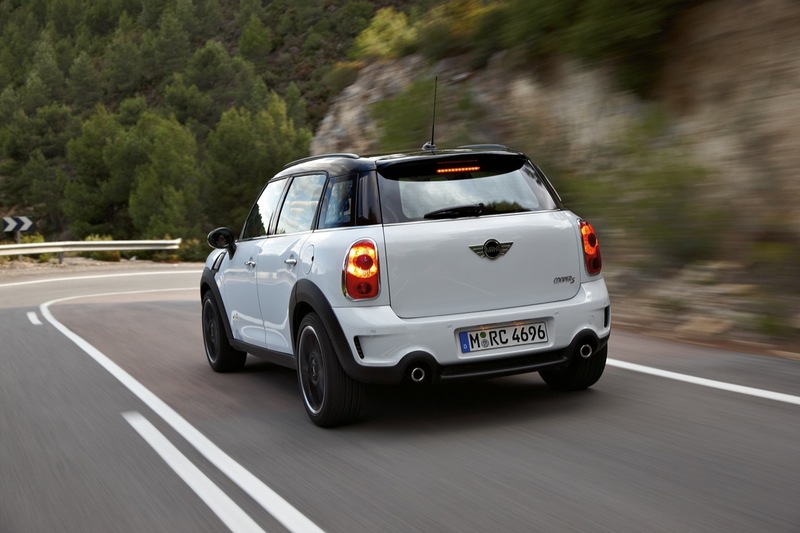 In addition, the Countryman looks like it maintains a fairly low center of gravity, which, combined with Mini’s usual emphasis on playful dynamics, means handling should be excellent for the teeny-tiny SUV class. Power in the U.S. comes from what appear to be the same engines powering the other Minis – a naturally aspirated 1.6 liter four-cylinder making 120 horsepower in the Cooper Countryman and a turbocharged version of the same putting down 180 horses in the Countryman S. (Yes, it’s technically “Cooper S Countryman,” but “Countryman S” sounds so Porsche-like.) Both models come with choice of six-speed manual or automatic transmissions, but all-wheel-drive will only be available on the S in the States. 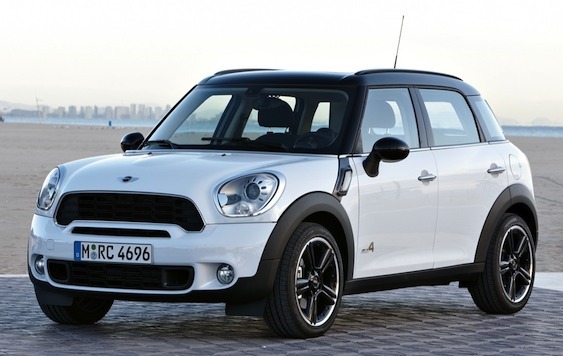 Then again, given that Mini claims basic Countrymans (Countrymen? Jesus…) take 10.5 seconds for the run from naught to 60, the added weight of AWD would probably make things awfully lethargic. 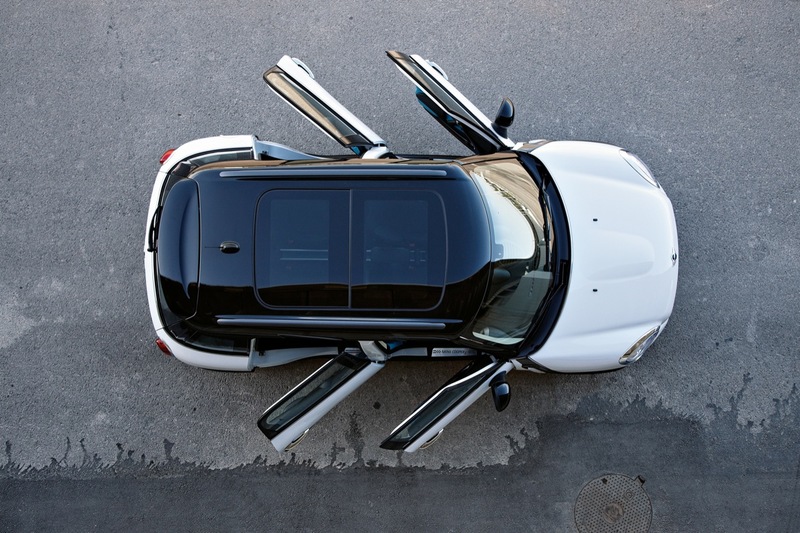 Countryman S models will supposedly do it in a much more reasonable 7.6 seconds – probably closer to 8.1 with the AWD. 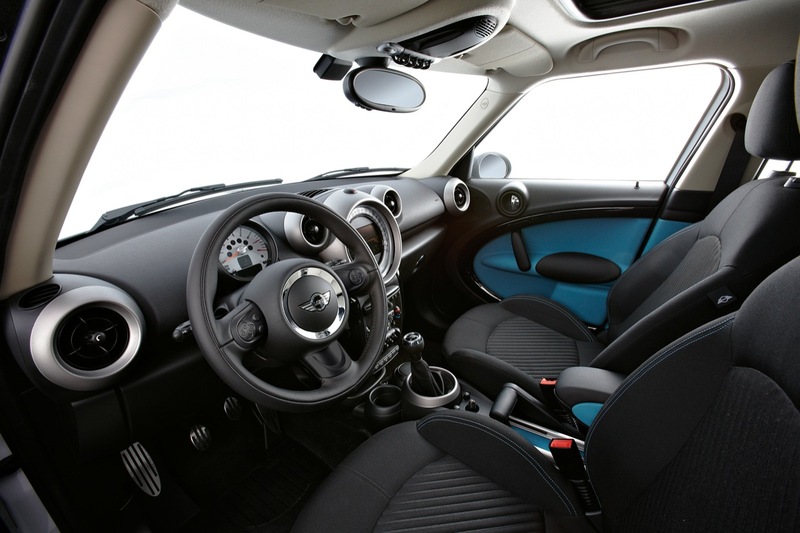 Top speeds are limited to 118 and 128 mph for the Countryman and Countryman S, respectively. But Mini isn’t the only one seeing how small they can take the SUV concept. 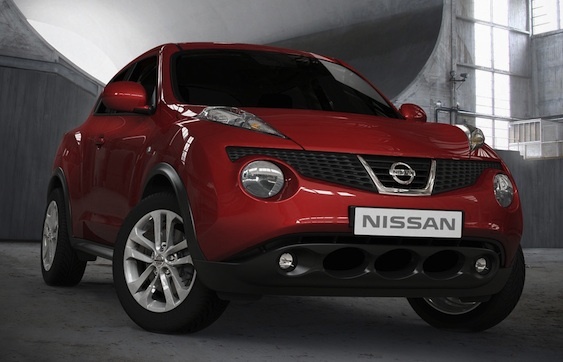 Coming from the other side of the globe is Nissan’s Juke, which, while sounding suspiciously like a sassy Autobot, looks more like…a sassy Autobot in need of a new face. We’re gonna be straight with you: we’re a little weirded out by this thing. You know why? Because we don’t know how to make eye contact with it. 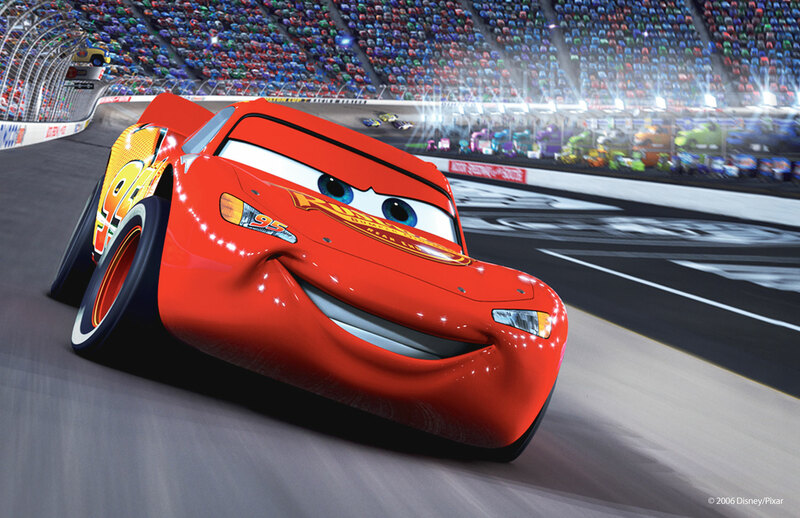 Despite what Pixar wanted us to believe, we all know a car’s headlights are its eyes. For the last 100 years, the front end of just about every car has vaguely resembled a human face. This is probably a large part of what leads us to identify with cars so strongly – to name them, to write songs about them, to take such pride in them. We look at them, and see mechanical people. Mechanical friends. 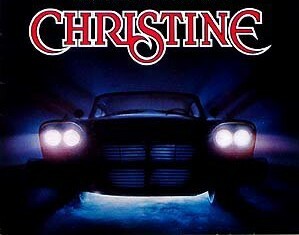 And it all starts by making eye contact with those two headlamps. You see? Your eyes go to his headlamps! 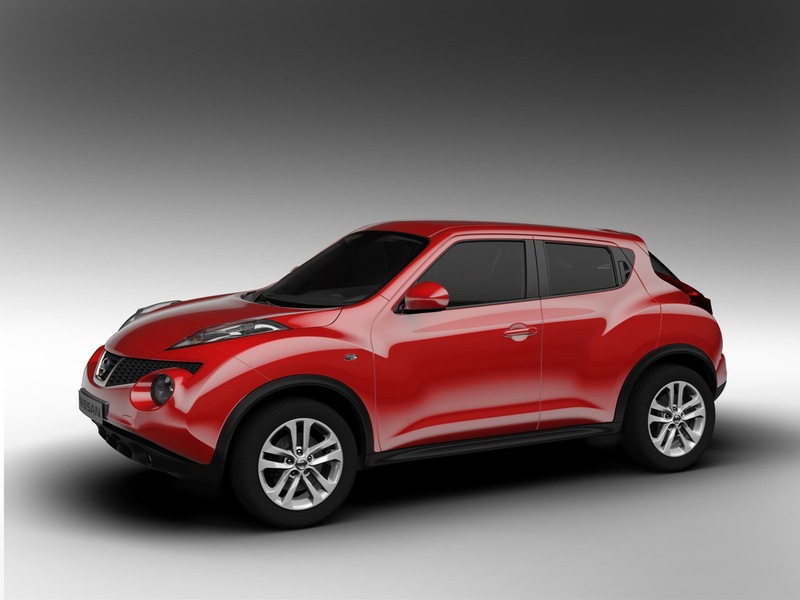 With the Juke…it’s like meeting somebody with four eyes. You don’t know which ones to look into. It’s like trying to relate to an enormous spider. Do you make contact with those giant foglamps that look like they should be the headlights…or those skinny things high on the fenders? Which ones are its eyes, goddamnit?! Okay, it's just generally ugly. For their part, Audi’s newest model is also their least expensive. 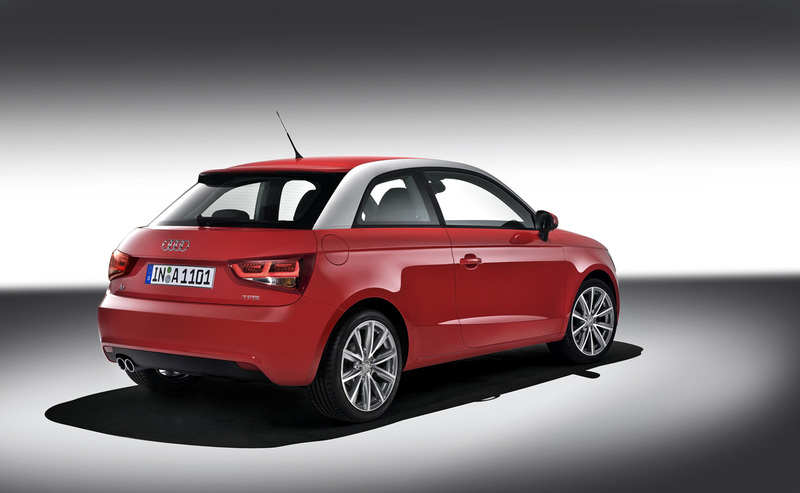 Dubbed the A1, the baby Audi is the newest entrant into the luxury subcompact class, a category that in the U.S. includes…um…well, there’s the Mini, we suppose…and the…nope, that’s it. Unsurprisingly, Audi isn’t planning on bringing the diminutive three-door hatch stateside – at least not anytime soon. 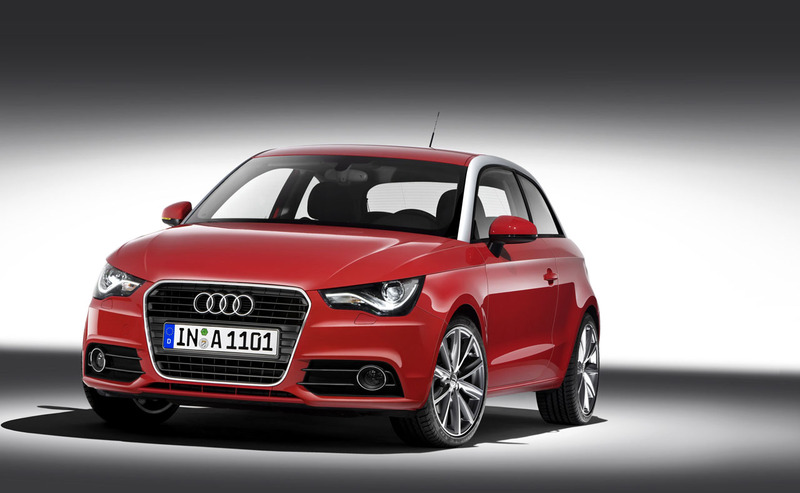 Audi sources say the A1 will spawn a full range of models, from a five-door hatch to a convertible to a S1 with a turbocharged engine making 180 horses. 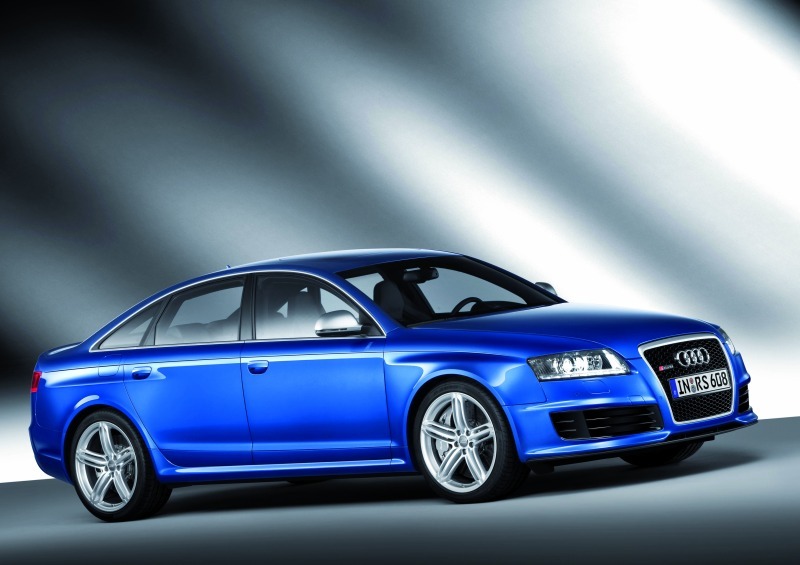 Expect the five-door in 2011 and the other models in 2012. 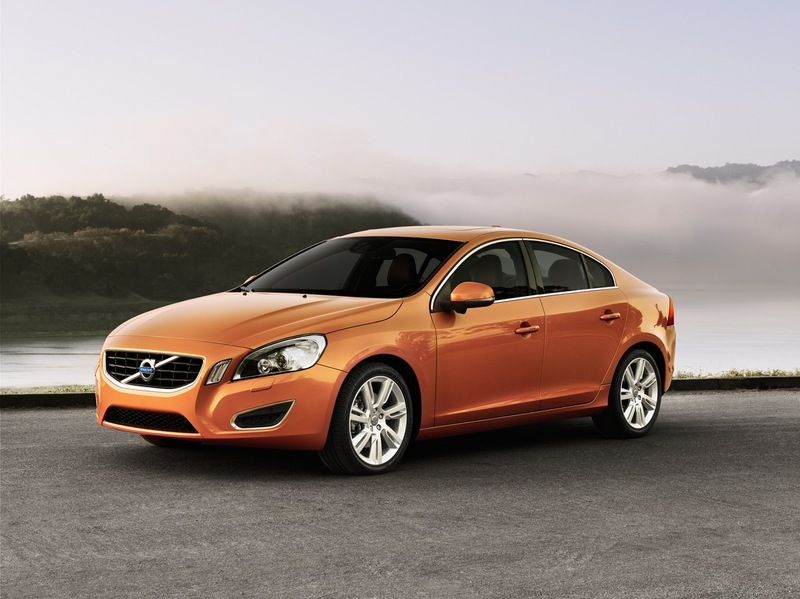 Volvo, though, has its sights set in a loftier price bracket for their new S60 sedan. The company claims the car is the most “dynamic car model” they’ve ever made; while we can’t support or deny this yet, we certainly can say it is the best-looking Volvo we’ve ever seen. Of course, it wouldn’t be a Volvo if it wasn’t safe. Having taken occupant safety about as far as early 21st century technology can go, the company has moved onto protecting people outside the car. The XC60 sport-ute was first, with its “City Safety” system capable of detecting stopped traffic ahead and automatically applying the brakes to avoid an accident. However, the system only detected cars, and only could completely stop the car from below 10 mph. 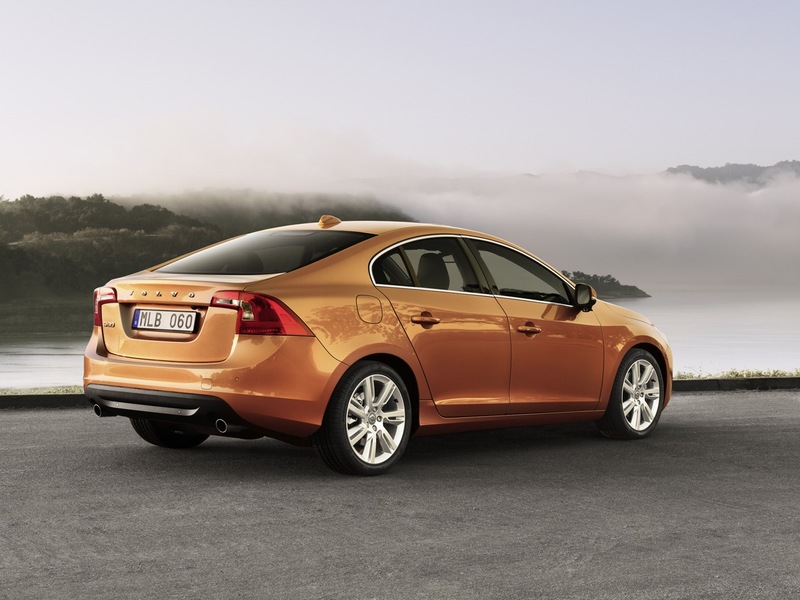 The S60, in turn, receives something called “Pedestrian Safety.” Operating along the same principles as City Safety, the new version detects and warns the driver of pedestrians ahead; if the driver doesn’t react, the car applies maximum braking power. Volvo says the system can avoid a collision altogether at speeds up to 22 miles per hour. We’d like to test it by putting Glenn Beck in front of the car. And we bet it’ll stop in time at 35 mph, too. Our last 2011 model isn’t really all that new or innovative…it’s just one of our old favorites. 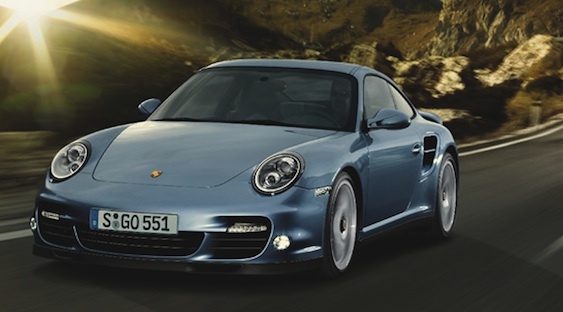 After a couple years on hiatus, Porsche announced they’re bringing back the 911 Turbo S. 530 horsepower. I mean, come on. From a six-cylinder production car. God bless you, Porsche. Less awesome is Porsche’s choice to only offer the Turbo S with their seven-speed dual-clutch gearbox, known as Porsche-Doppelkupplungsgetriebe! (That is actually the real name.) 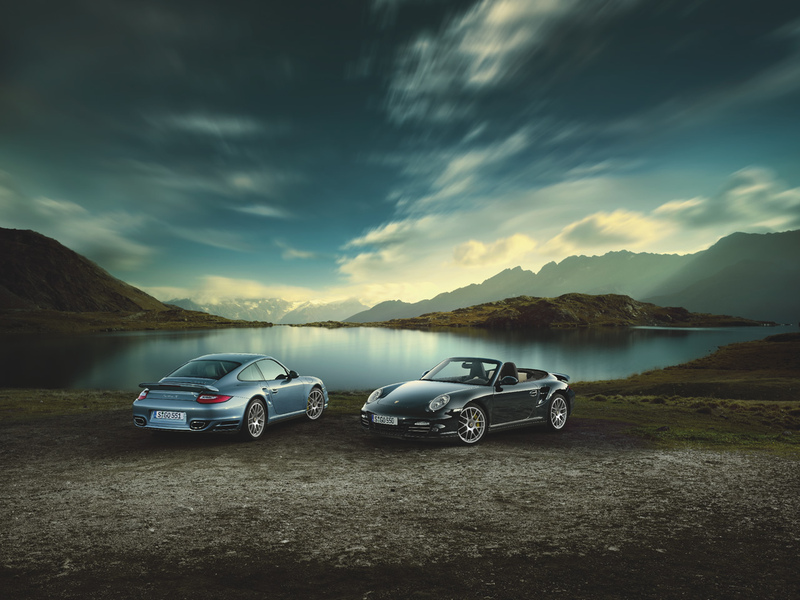 Sure, the PDK offers faster shifts, improved fuel economy and automatic shifting when you’re lazy, but the simple fact that Porsche – keeper of purity in the automotive world – is offering their most potent sports car without a stick seems a sign the death of the manual transmission is closer than we think. Still, Porsche claims 0-60 in 3.3 seconds (and they’re usually conservative), top speed of 195 mph, and 25 miles per gallon. We’ll find a way to live with PDK. But maybe you need a little more space in your all-weather supercar. Maybe you’ve got kids, maybe your spouse/partner/mother doesn’t want you driving a sports car, maybe you just want something a little more innocuous so the ATF doesn’t have it so easy following you to your warehouse full of smokes, booze and guns. 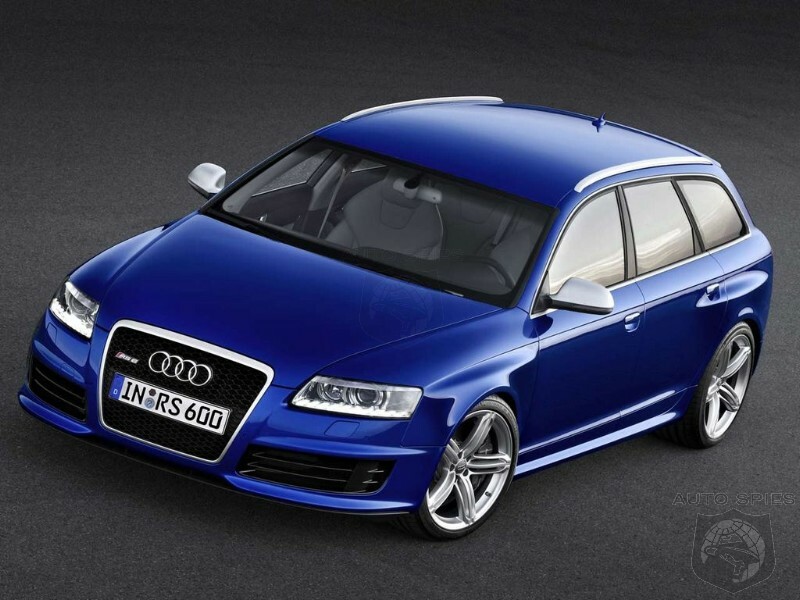 Once upon a time, you could’ve bought an Audi RS6. Five years ago, it was the 450-horsepower king of the sports-sedan hill; fast as an M5, but with AWD traction. 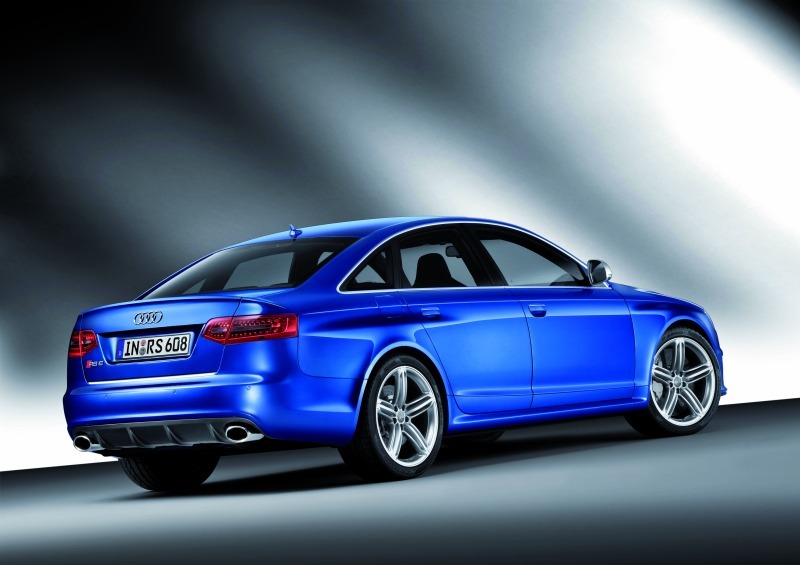 Then Audi brought out a new A6, and Audi stopped importing the RS6. The good news: Horchaus does it now. The Canadian subsidiary of MTM Tuners, Horchaus has begun bringing Euro-only Audi models like the current RS6 to the U.S. and Canada. More importantly, not only is Audi okay with this, but Audi is actually prepping the cars to U.S. Department of Transportation standards. It’s 100 percent legal, baby. Not enough good news? Well, try this on for size: Horchaus’s cars are downright affordable. (Ish.) Choose to buy a R8 5.2 V10 from your local Audi dealer, it’ll cost at least $146,000; have Horchaus bring one over, it costs around $98,000. No idea why Audi’s allowing this, but ya gotta love it. And that RS6 you wanted? $107,000. A bit more than an equivalent Mercedes-Benz E63 AMG, maybe, but the Audi has all-wheel-drive and 62 more horses. Plus, you can get it as a wagon. How cool is that?